Amazon is having a special sale just for Prime members on their e-ink Kindles. Savings vary from $30 to $50, depending on the model of Kindle. 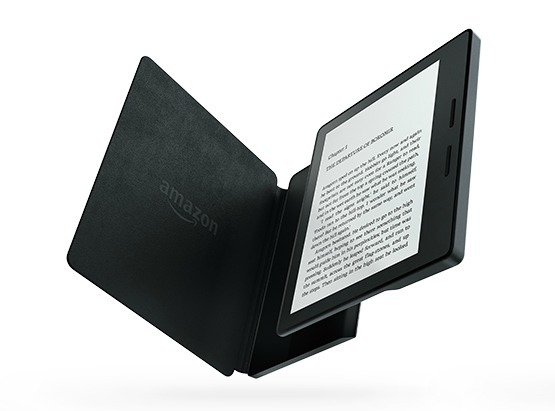 Models available include the pricey Kindle Oasis, which is often not included in the Kindle sales. You can also find travel bundles for the Paperwhite and the Kindle Voyage that add a cute travel bag to the device/cover bundle. November 2017 marks the 10th anniversary of the release of the first Kindle e-reader. There’s been a lot of speculation over whether Amazon will release a new Kindle model this year. The limited availability of the top of the line Kindle Oasis and the fact that the Oasis is included in the Prime members’ sale makes me cautiously optimistic that we may indeed see a new e-ink this November. Not a Prime member? You can sign up here and still take advantage of the sale! Sale prices are good until October 9, 2017. This entry was posted in Daily Deals, eReaders and tagged e-ink e-readers, Prime members, sales. Bookmark the permalink.